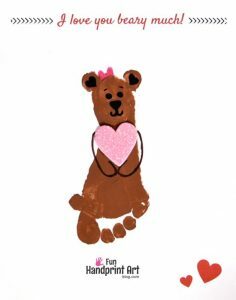 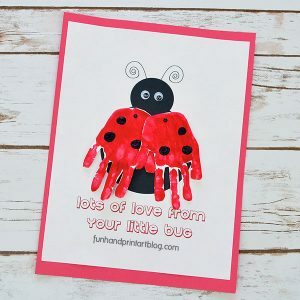 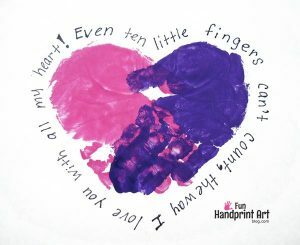 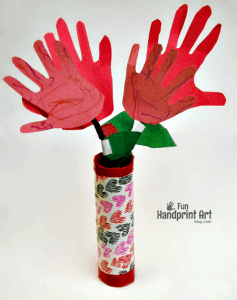 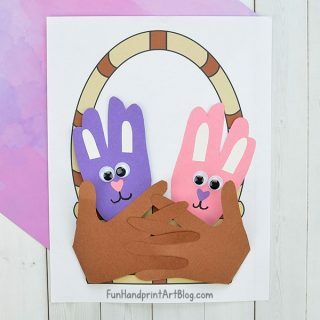 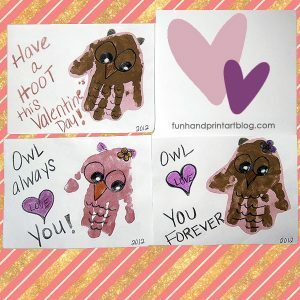 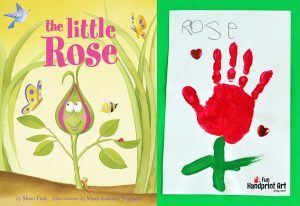 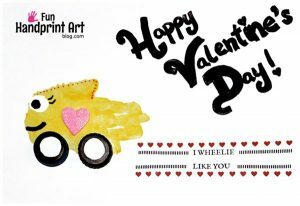 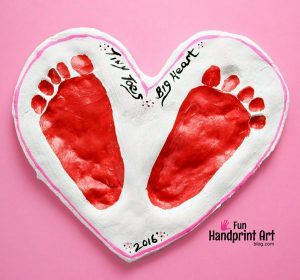 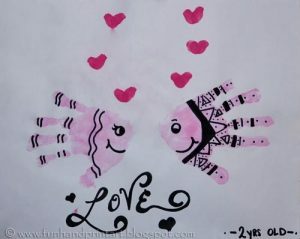 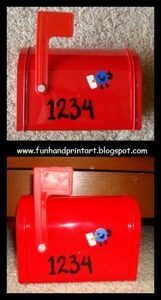 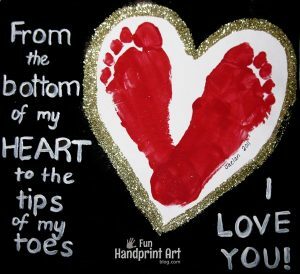 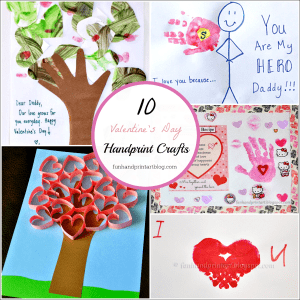 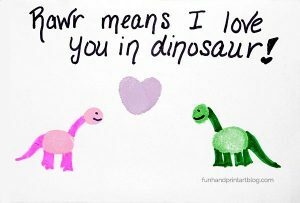 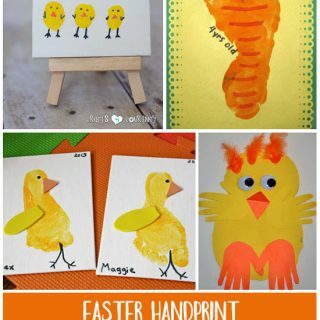 This Sign Language I Love You handprint craft is too precious! 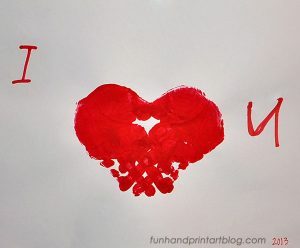 It’s I Love You in American Sign Language (ASL). 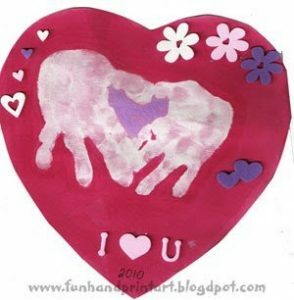 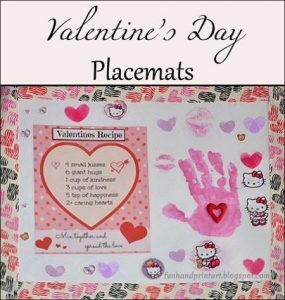 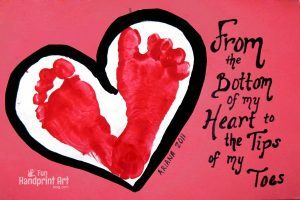 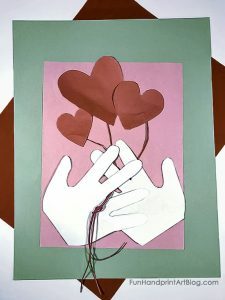 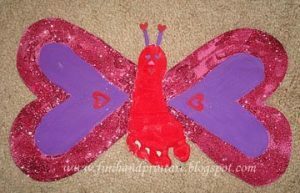 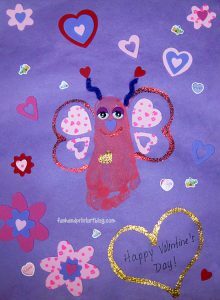 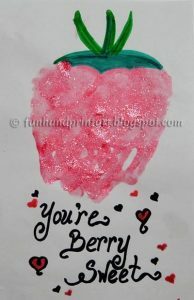 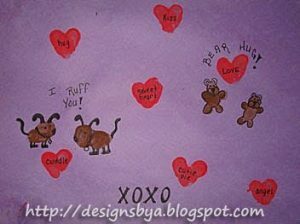 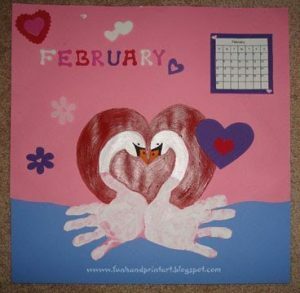 I was inspired by a Heart in Hand Valentine’s Craft I saw over at the Enchanted Learning Website. 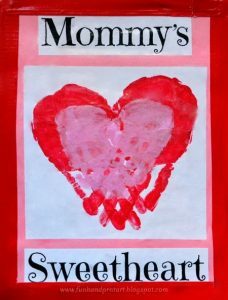 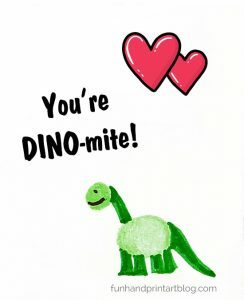 Of course this would be perfect for many holidays, especially Mother’s Day, Father’s Day, and Valentine’s Day. 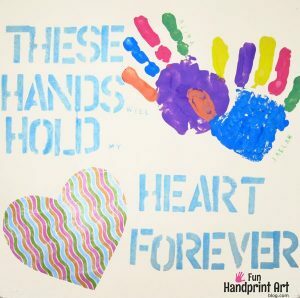 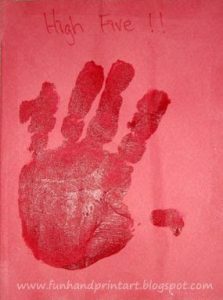 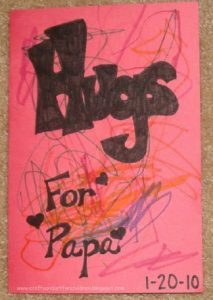 I used foam sheets for the background and the handprint. 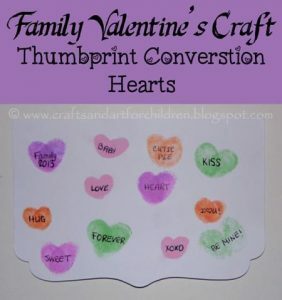 The letters and hearts are foam stickers. 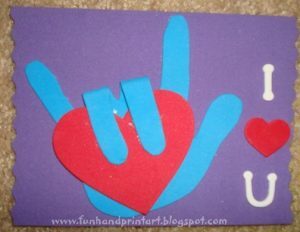 Just glue the 2 middle fingers over the heart to form the (ASL) Sign for I love You. 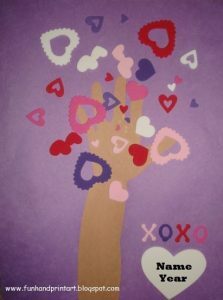 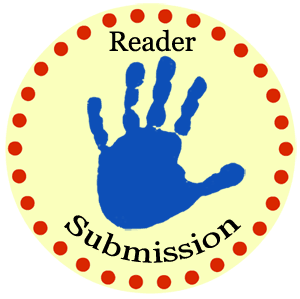 I love this one, we started with sign language a while back and this will be great to reinforce it! 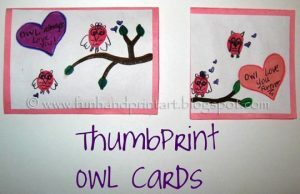 love all your ideas thanks for sharing!